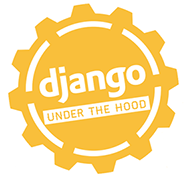 Django: Under the Hood is a conference for experienced Django developers currently at its second edition. The conference will start at 1pm on the 5th of November (Thursday) and end late on the 7th of November. It will take place in Amsterdam, the Netherlands at the Pakhuis de Zwijger.